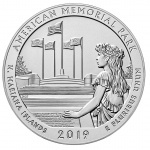 The Pilgrim Tercentenary Half Dollar are a well-known classic commemorative coin which was struck to commemorate the 300th anniversary of the arrival of the Mayflower and the Pilgrims in what would later become the United States of America. Struck in both 1920 (the actual year of commemoration) and 1921, the coins provide an instant history lesson into the early 17th century. School children will learn the story in elementary school, providing valuable information about religious freedom and why that is so important. We also tend to connect the Pilgrims almost instantly with thanksgiving, which some believe was celebrated annually each year since the Pilgrims arrived in late 1620. This, however, is pure myth, as after their initial thanksgiving neither the Pilgrims nor anyone else celebrated thanksgiving until over two centuries later, in the mid 19th century. Needless to say the Pilgrims did play an important role in American history, and it should come as no surprise that the tercentenary or 300th anniversary of their arrival in North-America was celebrated on a large scale throughout the country. Congress authorized a commemorative coinage of fifty-cent pieces in May of 1920, already well into the anniversary year, as was also the case with the Maine commemorative released the same year. Even though production of 500,000 pieces was initially sought by the Pilgrim tercentenary commission, Congress only authorized coinage of 300,000 pieces. A little over 200,000 were struck with the anniversary dates of 1620-1920 included on the coin, while an additional 100,000 would be struck with the date 1921 added to the field on the obverse. Not all of these were released, especially so of the 1921 issue, of which final released coins numbered only 20,053 pieces. Final output for the initial 1920 issue was 152,112 pieces, making total production little over half of the number authorized by Congress. The obverse of the Pilgrim Half Dollar features one of the most well-known Pilgrims, whose writings have given us much of what we presently know about this group of endeavoring people. William Bradford, Governor of the Plymouth colony for close to thirty years, is seen in what is considered to be “traditional” Pilgrim clothing. Bradford, born in rural England in the late 16th century, was elected Governor on numerous occasions and with short intermissions served in that position for close to thirty years. His work Of Plymouth Plantation is a history of Plymouth, its people, and the events leading up to, during, and after initial settlement in North-America. No contemporary portraits of Bradford are known, leaving it to interpretation as what he actually looked like. Portraits that do circulate were all made at a later date, including the one appearing on the commemorative half dollar. The coin was designed by Cyrus E. Dallin, a Boston sculptor who achieved some fame with Appeal to the Great Spirit, a statue of a Native American on horseback standing at the Museum of Fine arts in Boston. Bradford is seen facing left, from the waist up, holding a book believed to be either the Bible or his work on Plymouth. He wears the clothing that is most often associated with the Plymouth Colony and the Pilgrims, although this is not as accurate as one might think. Most often the Pilgrims wore regular clothing as was customary at the time, rather than the conservative clothing of dark colors (although not black), as often seen in the works of the Dutch Masters of this time period. The reverse of the commemorative features one of the most well known ships of early American history, the Mayflower. The early history of the ship is unknown, but it appears to have been built as a cargo ship sometime in the early 17th century, making voyages between England, France, and the Mediterranean. Operated and partially owned by Christopher Jones, it was acquired by the Pilgrims in Southampton in 1620 for making the long and dangerous journey to the North-American coast late that year. The ship would return to England the next year but appears to have been scrapped within the next two years, most likely due to extensive damage in part acquired during the voyage to what would become the Plymouth colony. Details are relatively scarce when it comes to the Mayflower. It appears to have been a carrack, a common ship type of the era, with three masts and similar to the Santa Maria which had brought Christopher Columbus to North-America in 1492. The ship detailed on the coin appears to be wrong, as some of the details depicted were not invented until a later date, in particular in the sails and their positions. 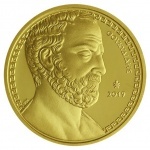 Yet, it appears that few people protested to these minor design flaws, since few contemporary references to the coin’s design have been found. What did receive some criticism was the decision to release the coin with the date 1921 added in the obverse field. Even though very few of these were sold, it did receive much criticism, even though most of it would be written at a later date when it was common to release numerous different issues for the same commemorative for the sole purpose of raising more money from collectors. For the modern numismatist, it has created two different issues which are included in a complete 144 piece set of silver commemoratives dated 1954 or before. Even though the mintage of the 1921 issue was much smaller it is not much more difficult to find in gem condition than the 1920, which was bought by non-collectors, who mistreated the coins in one way or the other, resulting in lower grade coins. 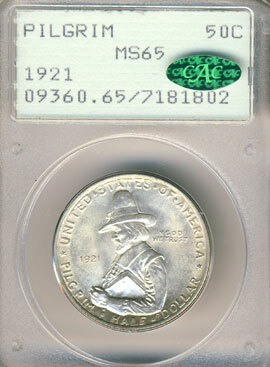 The 1921 coins mostly went to collectors and dealers, who took specific care of the pieces for the decades to come.